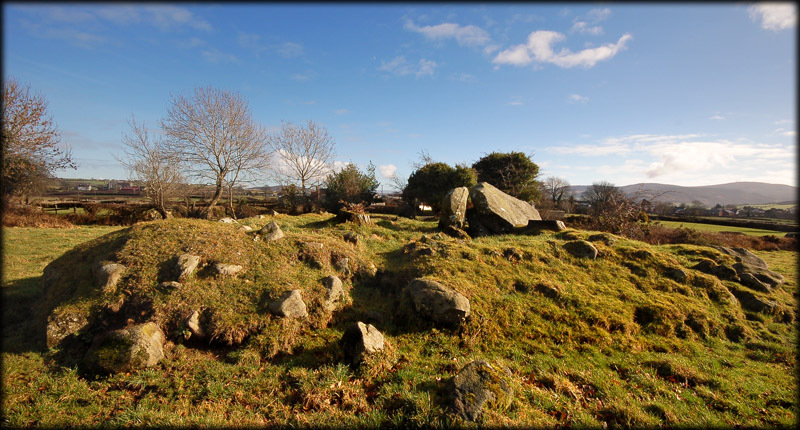 The megalithic tomb at Clonlum South is almost impossible to categorize, it is a small round cairn about 1 1/4 metres high with what appears to be a collapsed dolmen at the centre. 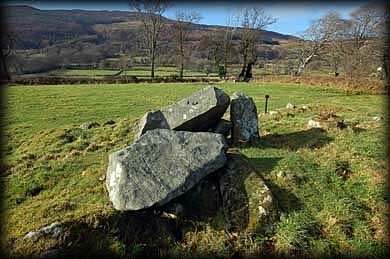 Anthony Weir of irishmegaliths .org.uk, describes it as morphologically intermediate between a portal-tomb and a megalithic kist. The monument was excavated in 1934, but due to earlier disturbance the excavations were not very rewarding. 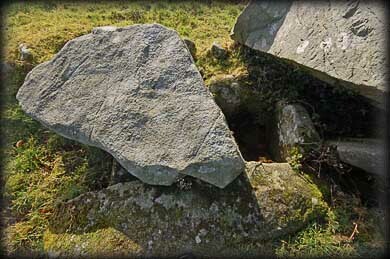 You can see the now broken capstone pictured right, which rested on portal stones that stood some two metres high. If you do visit this tomb then please keep an eye out for the bull that grazes in the field, luckily for me the farmer was feeding it on my visit. Situated: From Newry take the B113 West for Meigh as you come into Miegh take a right turn at the crossroads and then after 500 metres take the first left drive to the end of this road and take another left the tomb can be seen about 200 metres down this road on your left hand side. The tomb is sign-posted with a gate into the field. Discovery Map 36: J 0453 2063. Last visit Feb 2011.